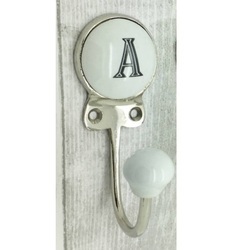 The Single Wooden And Ceramic Decorative Hook provides extra space for hanging things in a decorative manner. We are offering our client an excellent quality range of Ceramic Hook. Our range is highly reliable and durable and is manufactured under special guidance for expert team of workers. 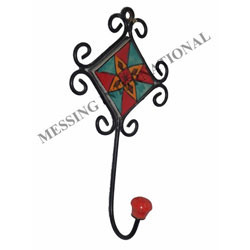 It is offered in variety of designs, shapes and sizes. We offer our range at market leading prices. We are putting forth our customer a great quality scope of Ceramic Hook. Our reach is very solid and strong and is made under unique direction for master group of specialists. It is offered in mixed bag of plans, shapes and sizes. We offer our reach at business driving costs.